AUSTRALIAN sheep producers are being urged to participate in a national survey that aims to update regional benchmarks for internal and external parasite control. The survey will assess sheep producers’ worm, liver fluke, blowfly and lice control measures. 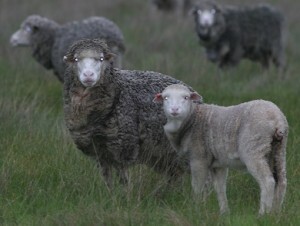 It is being led by a team of researchers from the University of New England and is funded by Australian Wool Innovation. AWI said a survey of this type has not been performed since 2011 and sheep producers now have the opportunity to influence the future of parasite management, research and extension. AWI’s general manager for research Dr Jane Littlejohn said the survey results will enable industry to identify the important parasite management issues impacting sheep producers. “The results from the parasite survey will also provide updated regional benchmarks for parasite control. “The resulting benchmark will be available to sheep producers to then compare their management practices and, if necessary, make changes to their enterprises,” Dr Littlejohn said. Internal and external parasites cost the Australian sheep industry an estimated $715 million per year, including $495 million in lost production and $220 million in control costs. Queensland finewool and prime lamb producer and veterinarian, Noel O’Dempsey, at Linallie in the Traprock country between Texas and Inglewood, is on the steering committee for the project. “I encourage all sheep producers to take the opportunity to complete the survey. “This is an important survey for producers, and they should take the time to complete it as accurately as possible,” he said. All sheep producers are encouraged to participate in the survey which opens on Tuesday 5 February. For more information go to www.wool.com/paraboss.